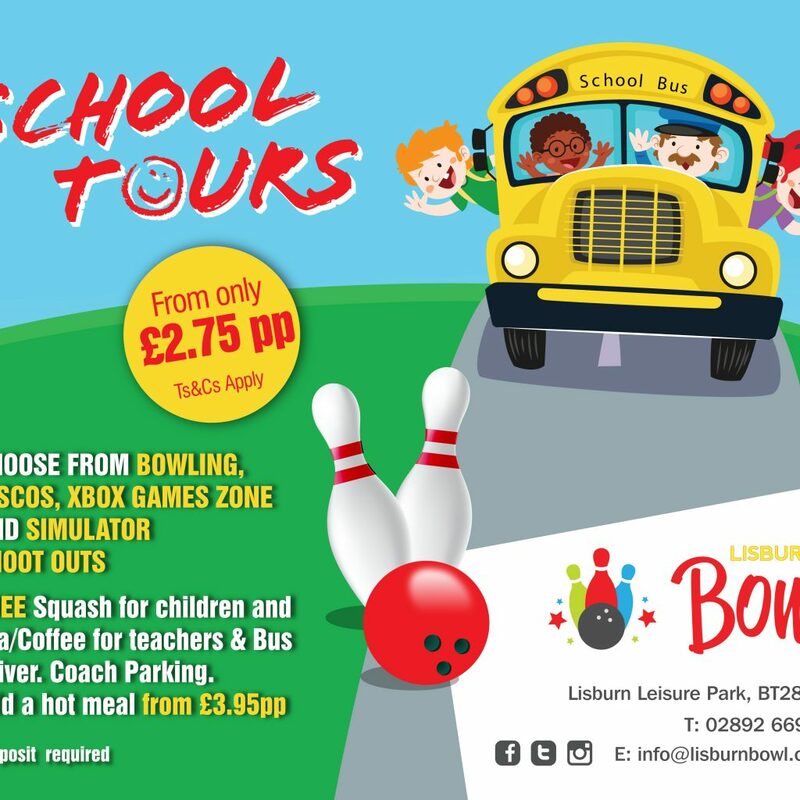 Bring your school tour or end of year class celebration to Lisburn Bowl – you won’t regret it! Rain or shine our fantastic venue offers plenty to keep your school group amused and entertained for a hours! Prices start from as little as £2.75 per child for bowling fun! Additional services include – disco room, Xbox game zone, simulator fun and hot lunch. Contact a member of the team on 028 9266 9466 or email us at info@lisburnbowl.co.uk. I consent to Lisburn Bowl collecting my details through this form.